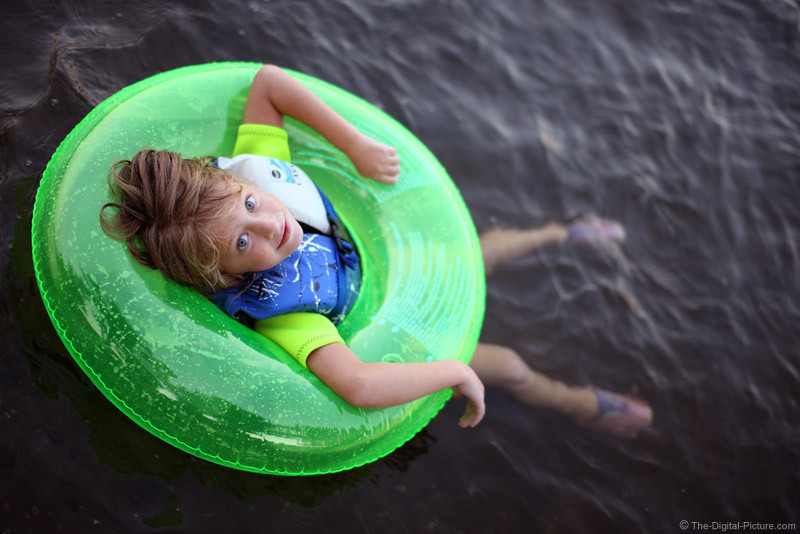 Mikayla takes in the good life while floating down a river. A tall bank and trees behind me in combination with a bright after-the-sun-set sky created the lighting for this shot. A very low percentage of my f/1.4 and f/1.6 shots from this night were salvageable due to the Sigma 50mm f/1.4 EX HSM Lens' AF inconsistencies.